Dr. Jennifer Lo from the Boston Public Health Commission has some helpful tips to protect your children from window falls. With summer upon us, many of us are finally cracking our windows open to let in the fresh air. Window screens keep the bugs out, but with toddlers who love to crawl, climb and explore, it’s important that we take an additional step to protect our little ones, adding window guards. Window guards, unlike window screens, are secured and weight-bearing, so that if your child makes their way up to the window, they will be safely secured inside and avoid potential window falls. Every year, about eight children under the age of five die from falling out of a window, and more than 3,300 are injured seriously enough to go to the hospital, according to a report by Safe Kids Worldwide. Keeping your home safe and healthy is of course a priority for parents with young children, and at the Boston Public Health Commission (BPHC), we’re here to help make that easier. If you’re a renter, ask your landlord to install window guards. 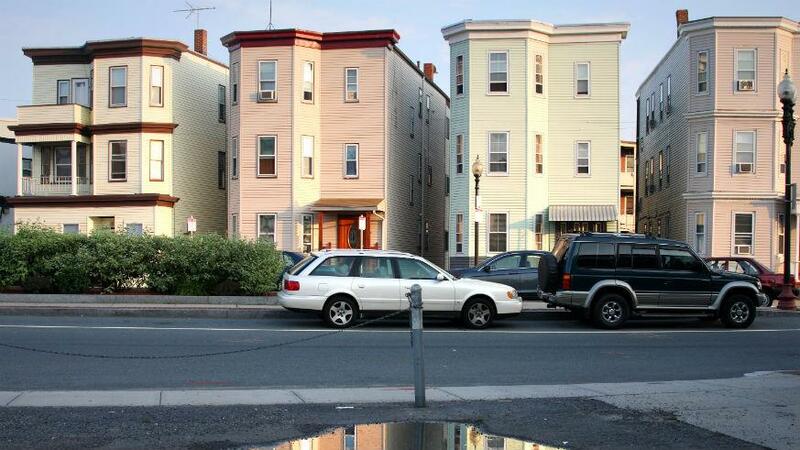 Low-cost window guards are available for Boston residents at Boston Building Resources located on 100 Terrace Street or by phone at (617) 442-2262. Lock all unopened windows and doors. Keep furniture or anything a child can climb on away from windows. Open windows from the top, not the bottom If bottom-opening windows are to be used for ventilation and not egress, install locks to prevent opening more than 4 inches. Be sure children are always supervised near open windows. Install child safety window guards. Fixed guards should not be used because they may prevent exit in case of fire. Do not allow playing or use of fire escapes by children. All balconies should have less than 4 inches between bars to avoid window falls. 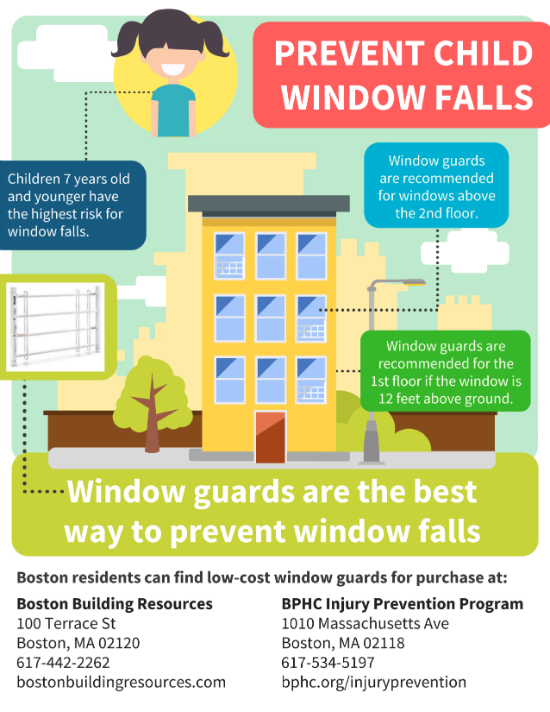 For assistance in asking your landlord to install window guards, contact the Boston Public Health Commission by phone at (617) 534-5197 or by email at injuryprevention@bphc.org. Dr. Jennifer Lo is the medical director of the Boston Public Health Commission, the City of Boston’s health department. She is a physician at the Greater Roslindale Medical and Dental Center and an instructor of Family Medicine at Boston University's School of Medicine.